Though various live releases emerged over the course of the band’s existence, no full-length capturing of The Birthday Party was approved by the band themselves until Live 81-82 was first released back in 1999, nearly 20 years on from when the recordings took place. An essential record, Live 81-82 stiches together tracks from a London date in 1981, a German show in Bremen in 1982 and a ringer cut from a show in Athens, Greece (a version of the Stooges’ ‘Funhouse’ with Jim Thirwell aka. Foetus on sax). Until now Live 81-82 has never been pressed on vinyl. Finally coming out on July 29th, Live 81-82 is being made available on double vinyl with a gatefold sleeve and a CD inside. The tracklisting is the same as the original release. 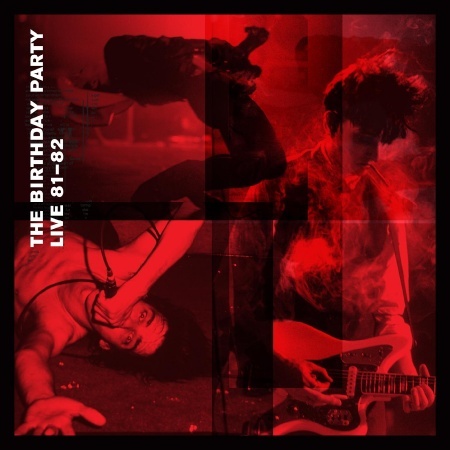 via 4AD – The Birthday Party Live 81-82 To Be Pressed On Vinyl.